Facebook is the largest and the biggest Social networking site on the internet . Fun fact - There are more people on facebook than there were people on the earth just 200 years ago !! I think facebook nailed it . With so many people using their website , for chatting with their friends and family , they launched their own facebook messenger ( only for windows ) . 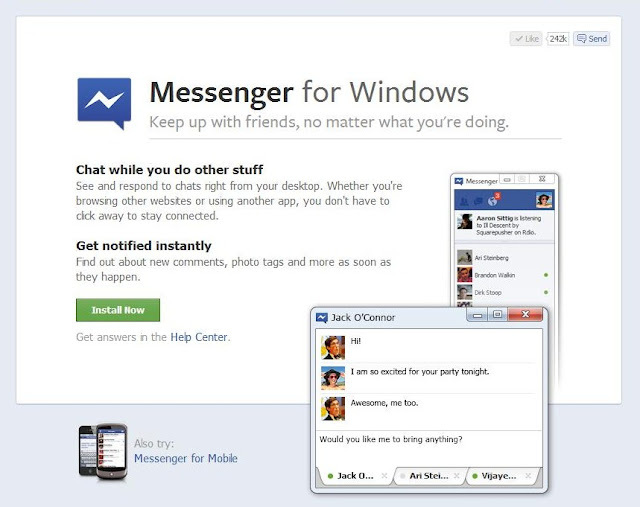 To get facebook windows messenger , click here . Its easy and simple , just like the yahoo messenger , the user interface is nice . On the up side , this messenger can be downloaded and installed within a minute , unlike the yahoo messenger which is a heavier . 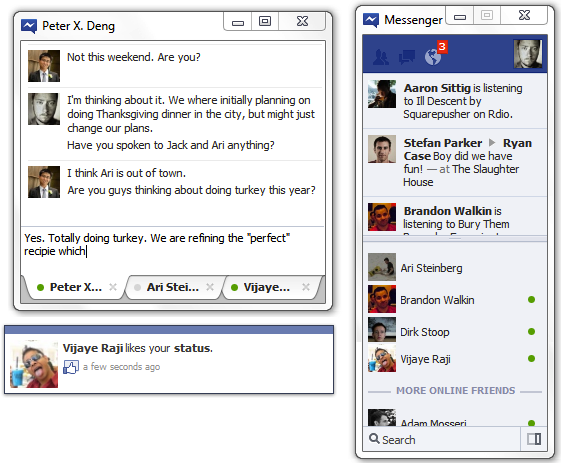 With Facebook messenger , users would be able to browse other web pages while chatting on facebook . The messenger does not only provide chatting , but also gives you notifications in real time .